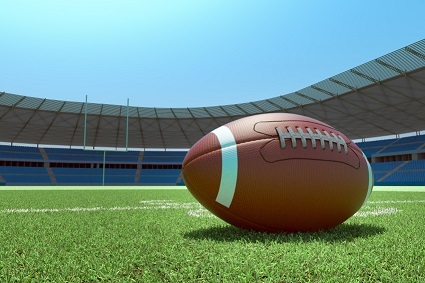 A former NFL player must face an insurance fraud lawsuit, an appeals court has ruled. The Ninth US Circuit Court of Appeals has reversed the dismissal of a lawsuit against former NFL defensive tackle and Survivor contestant John Broward “Brad” Culpepper, who is currently a Florida personal injury attorney. Culpepper filed a claim for injuries that were supposedly incurred in 2000 while playing six games in Los Angeles for the Chicago Bears, according to the Metropolitan News-Enterprise, a Los Angeles newspaper. It was determined that Culpepper was 89% disabled, and the Bears’ insurer, TIG Insurance Company, approved a $175,000 settlement. TIG said it became aware of fraud in the case when Culpepper and his wife, Monica, appeared on the CBS reality show Survivor. Participation in that show, TIG said in court filings “can be physically demanding on its contestants”. Beyond that, the insurer alleged “Culpepper engaged in activities such as running and kickboxing that were inconsistent with his claimed disability”. “In this case, Mr. Culpepper made representations that he had difficulty lifting his arms above his head, walking a couple of blocks, even getting out of bed in the morning – while all the while, he was sparring with professional mixed martial arts fighters, running long-distance races, and making a tape to audition for Survivor, when he was touting his physical fitness,” TIG’s attorney, Jason Litt, said in oral arguments. TIG sued Culpepper under California’s Insurance Fraud Prevention Act (IFPA), alleging he had filed a false insurance claim. The state’s Workers’ Compensation Appeals Board (WCAB) had dismissed the suit, but the appeals court ruled that the lawsuit under IFPA is beyond the scope of WCAB’s authority and ordered the lawsuit reinstated.